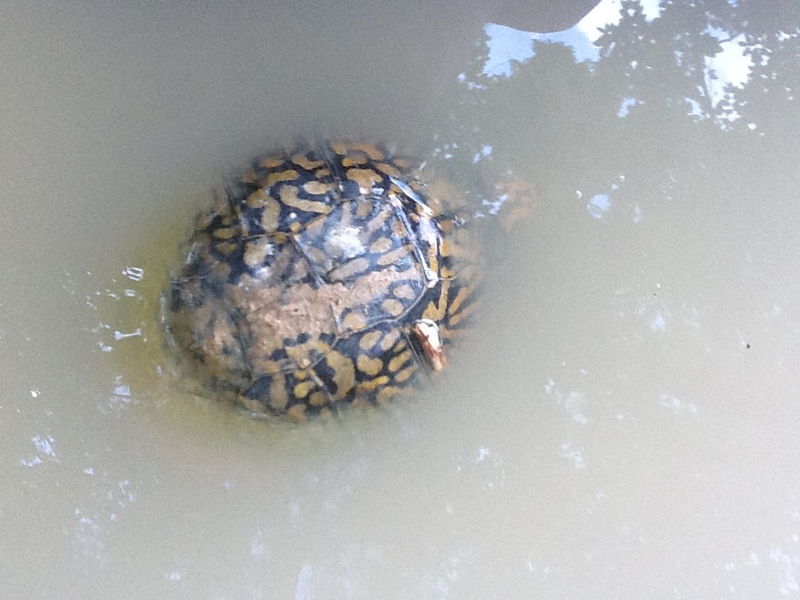 Eastern box turtles need to be in the water a bit. 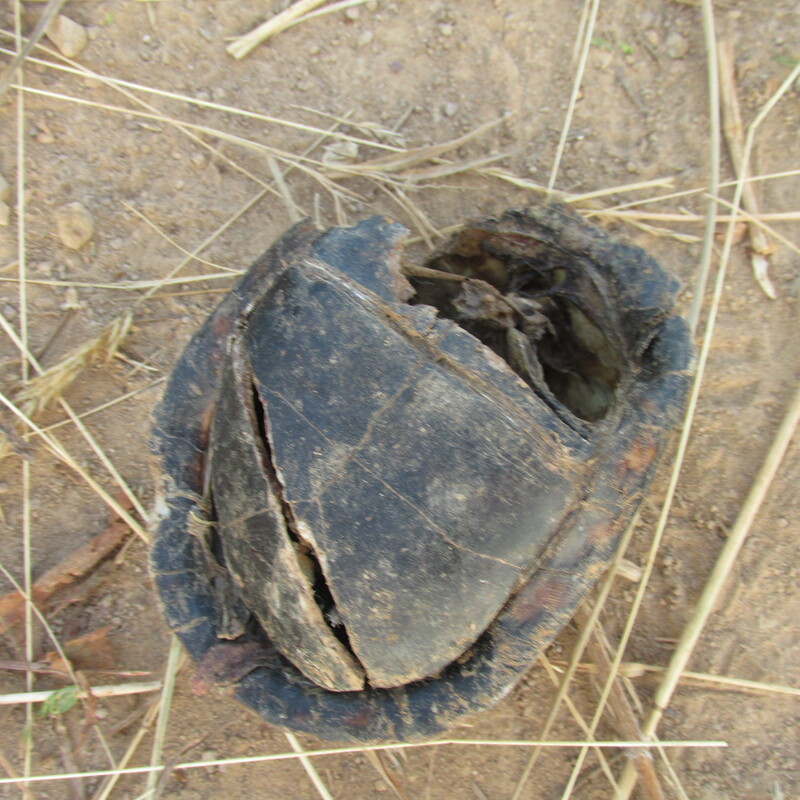 Box turtles are sometimes killed by the tractors and other heavy equipment. 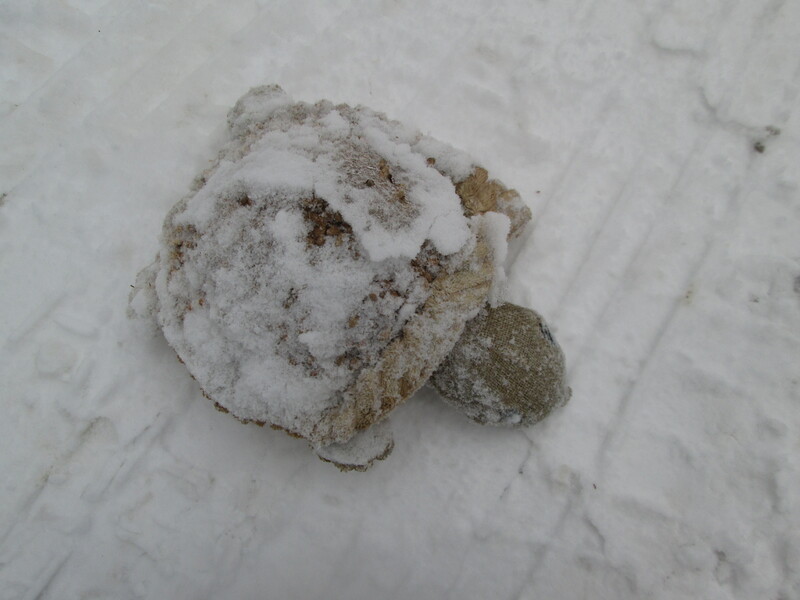 My guess is the local turkey vulture clan cleaned out the shell. I wish I had poked around with a bit more, because I could have clearly shown how turtle shells are actually just modified ribs. But don’t worry too much. I cam across this specimen, who quite obviously survived it all. 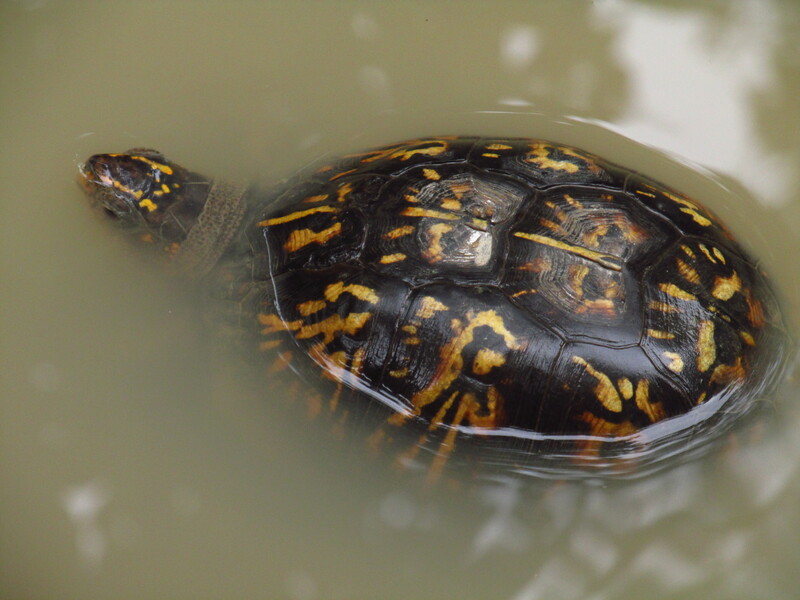 Box turtles could be quite threatened in the very near future. Although the extreme heat has largely subsided, we still have relatively high heat and humidity. 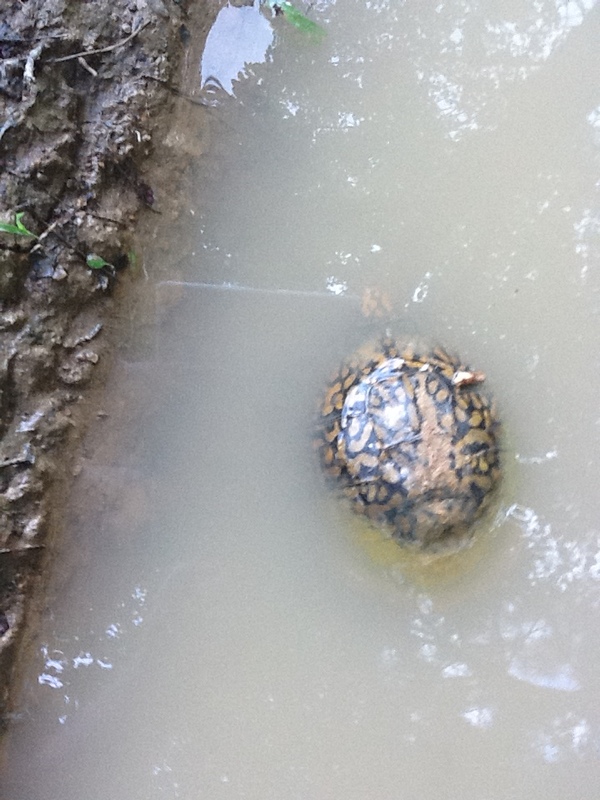 And when the weather gets like this, the box turtles look for little mud puddles to soak themselves in. 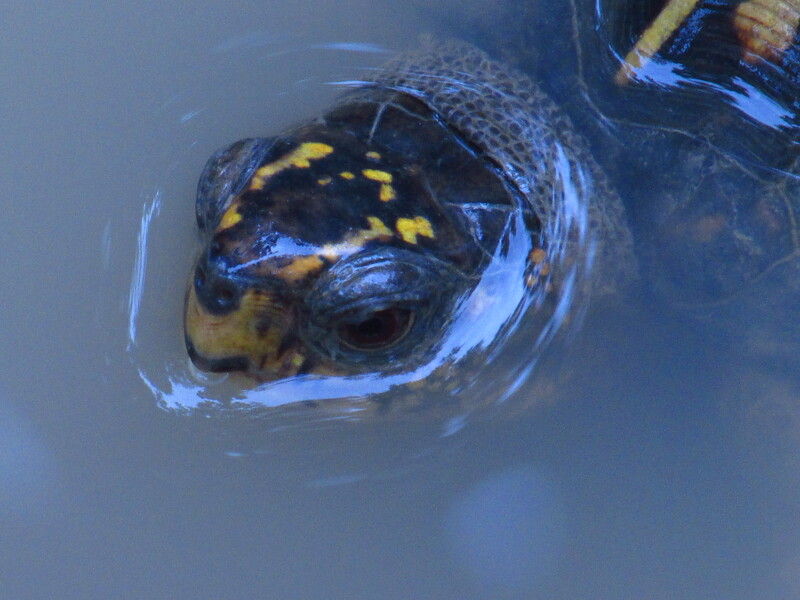 When I came across this particular turtle, his head was sticking above the water, but as I approached, he pulled it below the surface. 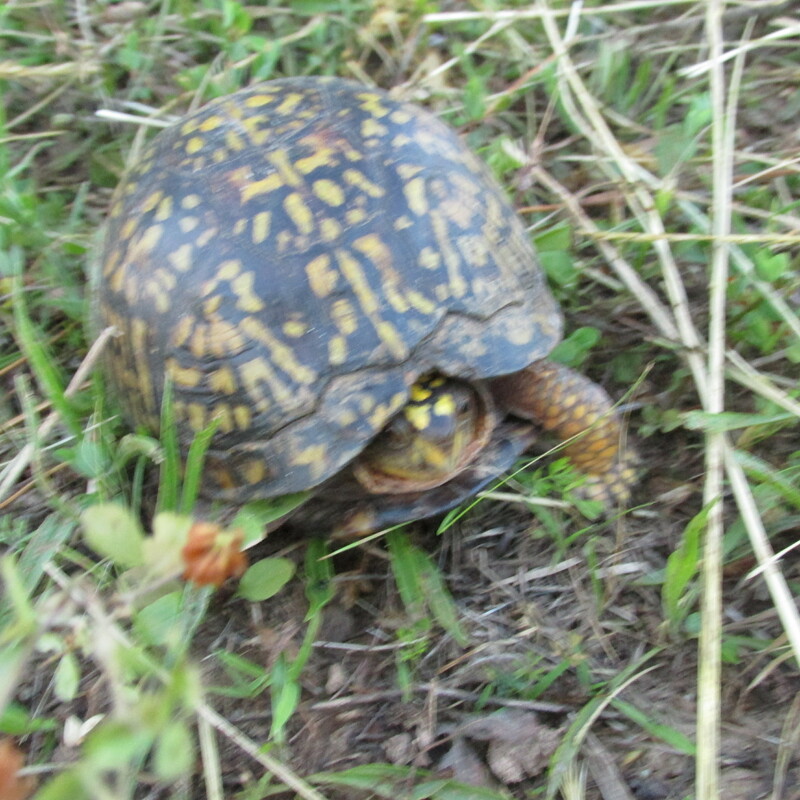 Eastern box turtles (Terrapene carolina) are actually decreasing in numbers in many parts of their range. Many states now regulate owning and collecting them. I don’t happen to live in one of them. 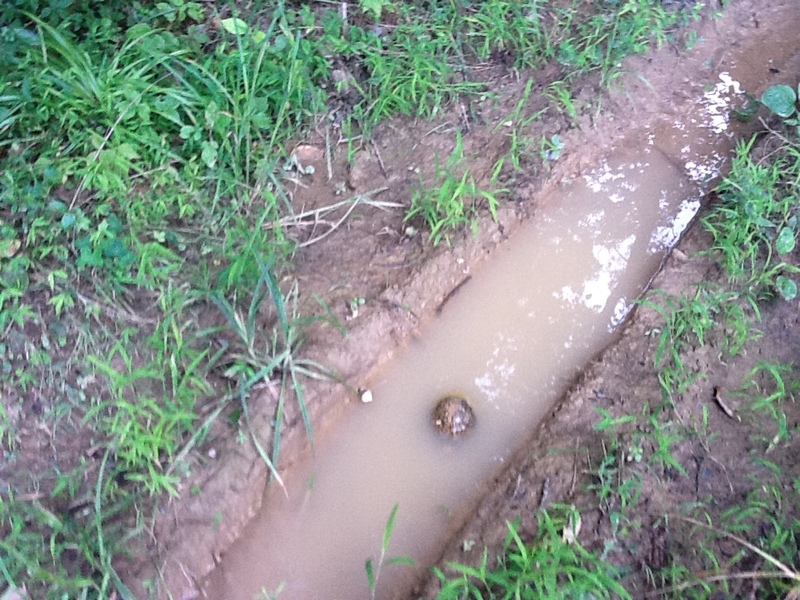 In this area, the box turtles are doing fine. I’ve seen many nests this year, and every year, I find juveniles and hatchlings. So they are doing okay here.